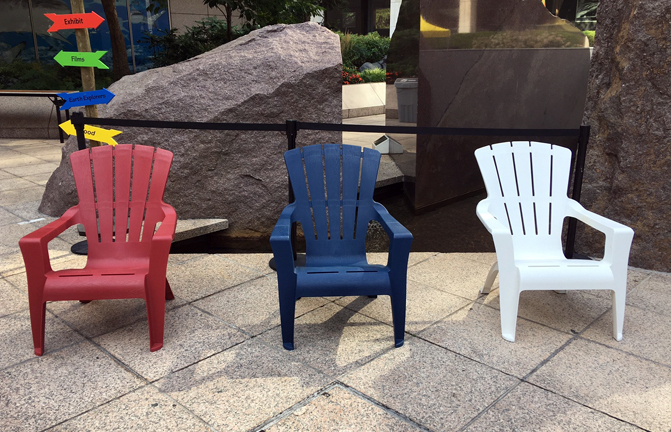 Adirondack Plastic Chairs - Great for outdoor, backyard parties or summer picnic events. Can also be good additions to our Inflatable Pub / Beer Garden and/or Corn Hole competitions. Available in white, red, blue, and violet.